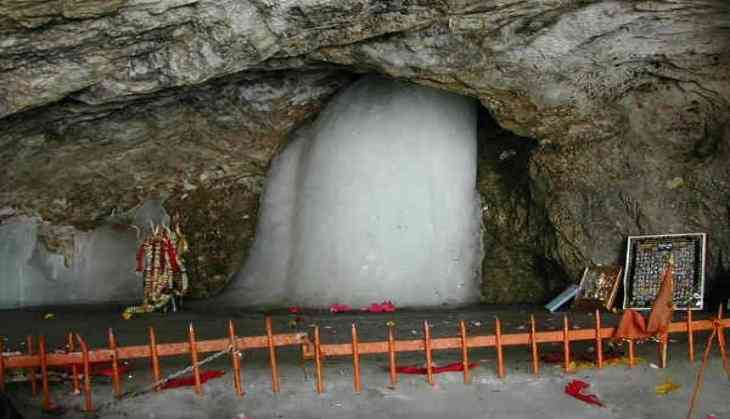 Four on-the-spot registration facilities will be set for pilgrims aspiring to undertake the pilgrimage to the cave shrine of Amarnath in South Kashmir Himalayas beginning June 28. "On-spot registration facility during the Yatra period will be available at four places at Jammu", Chief Executive Officer Shri Amarnath Shrine Board, Umang Narula said today. He said these facilities will be set up at Vaishnavi Dham, Saraswati Dham, Jammu Haat and Geeta Bhawan-Ram Mandir. Over one lakh pilgrims have already been registered so far across various registration centres across the country and advance online booking of helicopter tickets for the Amarnath pilgrimage will commence on April 27. He apprised that advance registration of pilgrims has already started through various branches of the Punjab National Bank, the J&K Bank and YES Bank across the country. Narula stressed the need for all agencies concerned to enforce sustained close watch and maintain effective co-ordination to ensure smooth conduct of yatra.